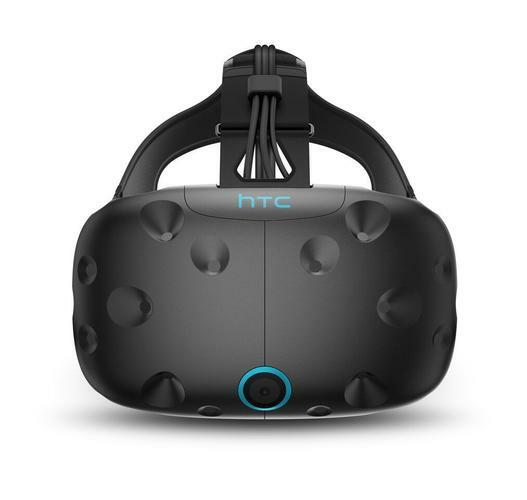 HTC on Thursday announced a Vive Virtual Reality package focused on business users for $1,200 that includes dedicated customer support. The company's decision to offer its Vive Business Edition (Vive BE) in addition to a consumer-focused version for $799 has caught the attention of analysts who foresee a potential market for using VR in commercial settings, such as design, car manufacturing and medicine. The Vive BE will launch this month in the U.S., the U.K., Canada, Germany and France, and will be on sale globally in coming weeks, the company said. HTC, which is struggling in a highly competitive smartphone market, said it has heard an "overwhelming demand from global industries for a complete VR experience." The $1,200 Vive BE system includes a Vive headset, two controllers, two base stations, a cable and four face cushions. Customers also will receive access to a dedicated Vive BE customer support line, a 12-month limited warranty and commercial licensing. Businesses will be able to buy the system in large quantities. Gartner analyst Tuong Huy Nguyen said in April that a variety of companies are interested in using VR, but they want a packaged, streamlined solution from vendors that includes software for capturing 3D images. Vive BE doesn't include such software or a 3D camera to record images for VR use. Also, an HTC spokeswoman said Thursday there is "nothing to share" on a future VR camera from HTC. While HTC said its Vive BE puts it in the lead for providing VR to business users, Nguyen said HTC nonetheless faces a "tough road" with its VR approach. "We're still in the early days of VR pilots," he noted. Nonetheless, some of the commercial VR uses are impressive. Doctors at the University of California Ronald Reagan Medical Center are already using VR to prepare surgeons for brain operations, to diagnose prostate cancer and to improve diagnosis accuracy. NASA is using VR applications with astronauts and the U.S. military is using it for training. Many other ideas for commercial VR have emerged, including by retailers to give customers new tools to shop online or to try on clothes with an avatar of a customer's physical dimensions. VR tours of homes for sale or for rent on Airbnb seem likely as well. In April, HTC announced it will head a $100 million VR accelerator fund called Vive X to jumpstart startups in the VR space. It also partnered with Dassault Systemes to help drive VR into the enterprise. The market for VR hardware is expected to skyrocket in 2016, IDC said recently, reaching 9.6 million VR headsets, a number that will grow to nearly 65 million in 2020. Other VR players include Oculus with its Rift VR, as well Samsung, LG and Sony. Last month, Google announced Daydream software for mobile virtual reality on Android devices, which will be released this fall. The company is also working on a headset.